There is a lot to be said for seeing things first-hand and a group of 100 paddlers will do that in June. That’s when they will explore the upper and lower Rogue River during a two-day float called Rogue River Expedition 2014. The event is open to the public and should be a lot of fun. 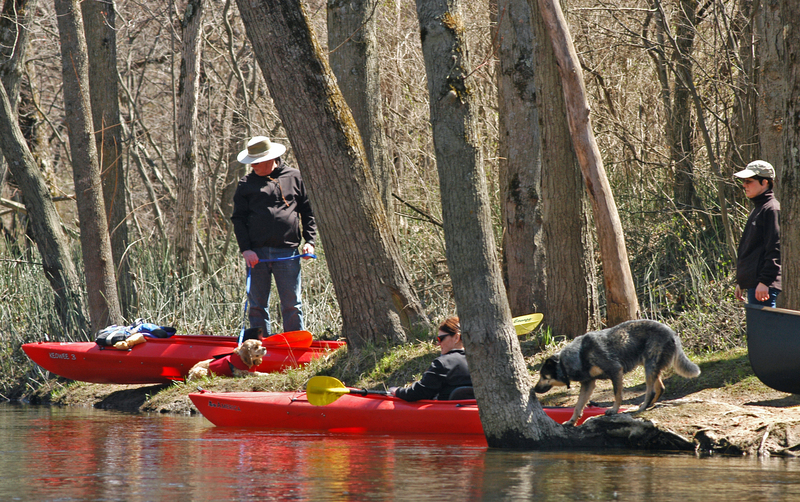 Those who paddle will enjoy the Rogue’s scenic natural beauty and learn about water quality issues. The Rogue expedition grew out of the 2010 Grand River Expedition, an event where hundreds of paddlers explored more than 250 river miles over 12 days. That expedition is held once a decade. Its organizers decided that the Grand’s five sub-watersheds should be paddled on alternate years between Grand River Expeditions. The Rogue River is one of those. I had the good fortune to paddle eight days on the Grand while covering the event for the Grand Rapids Press. What great fun it was – and what a great group of people. I suspect the Rogue River Expedition will be no less lively – and no less interesting. If you’d like to learn more about the Rogue River Expedition, here’s my latest story for Experience GR Blog in Grand Rapids: Rogue River Expedition Highlights West Michigan’s Natural Beauty and Promotes Water Quality. This entry was posted in Uncategorized and tagged Canoeing, Conservation, Environment, Fishing, Grand Rapids Michigan, Kayaking, Nature, Paddling, Rockford Michigan, Rogue River, Rogue River Expedition, Trout Unlimited. Bookmark the permalink.